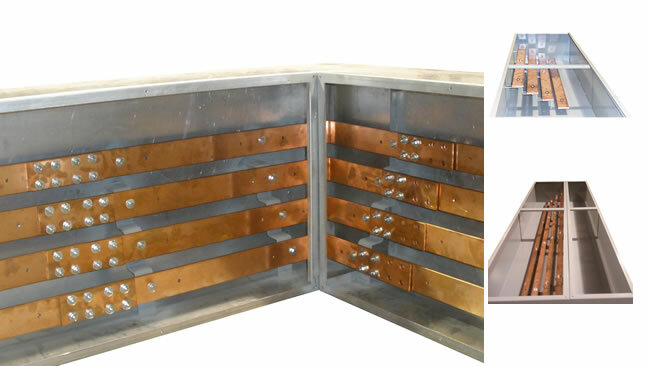 We fabricate electrical copper bussed gutters in a variety of sizes and shapes, ranging from 400 to 4000 amps. Both the indoor and outdoor step bussed gutters are totally enclosed and can be designed to allow as much termination room as you require. We can offer a variety of cover options including screw-on, hinged and locking models. These enclosures can be built from cold galvanized steel, powder-coated mild steel, even stainless. 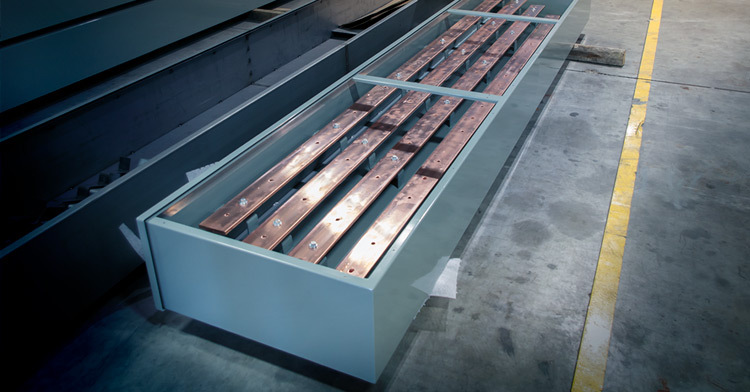 What’s more, if you have a commercial multi-tenant lease space, or other challenging or unique project, Andrews’ experienced fabricators are prepared to build an electrical gutter box for any application you may have requiring copper bussing in an enclosure. Let us know today what you’re looking for and we will be more than happy to help you get your building up and running as soon as possible.